Professional review of HydroPeptide Firming Moisturizer. See how it compares against other cellulite creams. We really like HydroPeptide Firming Moisturizer as an at-home treatment for cellulite. The rich lotion really seems to improve the look of skin over time. 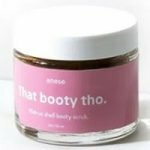 Although expensive, this product has some higher-end ingredients that you won’t find in other, less expensive cellulite creams. While this one does take awhile to dry, and has a scent that may be too much for some people, overall we think the results are worth it. For those who disagree, the company offers a 30 day money back guarantee as long as you buy the product on their website. 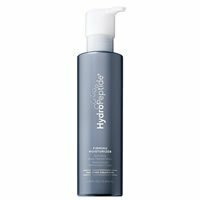 HydroPeptide Firming Moisturizer comes out of the pump bottle as a slick, slightly thick lotion. It almost has the consistency of a gel. This product goes on fairly easily but does take a little bit of time to blend in. It glides on the skin, but because it feels very ‘rich’ you’ll have to rub this one in more than others. The drying time on this lotion falls somewhere in the middle versus all the other cellulite creams we’ve tried. You’re looking at about 5-15 minutes of drying time depending on what body part you’re putting it on. Once it’s dry, it feels a little sticky but nothing too annoying. We were somewhat mixed on the smell with HydroPeptide Firming Moisturizer. It has a very strong citrus smell with a hint of green tea or something similar. Personally, I liked the smell, but there were a few people in the office who thought it was too strong. Once it’s had time to sit on your skin for awhile, the smell mellows out and actually smells pretty good. It turns into a nice, fresh scent. In the short term, HydroPeptide Firming Moisturizer feels a little sticky so it’s hard to tell what effect it’s having on your skin. But overall, it moisturizes pretty well and makes skin feel a bit softer. Over time, this product begins producing really nice results. My skin felt very smooth and soft, which is a definite plus. The appearance of cellulite definitely seems to be lessened a bit with continued use of this product. We like the ingredients in HydroPeptide Firming Moisturizer, although 67 different ones is a bit of overkill in our opinion. It’s got peptides and caffeine in it, which we like to see in cellulite creams. One bottle of this costs a whopping $120.00, which is one of the more expensive cellulite creams on the market. Coming in a 6.76 oz bottle, that works out to $17.76 per ounce. One side note, we found this product on Amazon for quite a bit less than what the company charges on their website. HydroPeptide Firming Moisturizer is guaranteed for 30 days as long as you buy it from their official website. Their FAQ’s clearly state that the guarantee does not apply if it’s not bought there. To buy HydroPeptide Firming Moisturizer, click here.